WASHINGTON (Reuters) – With the world’s two largest central banks now pulling back the economic props used to battle multiple crises, a so-far sturdy global recovery faces a new challenge as rising interest rates begin to take hold. For U.S. consumers, home mortgage rates already have risen enough over the last few months to offset the extra cash the average family could expect from recently enacted tax cuts, a potential drag on the consumer spending that continues to power the U.S. recovery. Credit card and auto loan rates are also rising. Globally, emerging markets that racked up debt in an era of cheap money now face a turning point as global capital that had been attracted there by higher returns moves elsewhere. The European Central Bank on Thursday said it would scale back its longstanding asset purchase program in September and end it in December, a day after the U.S. Federal Reserve approved its seventh rate increase since 2015 and outlined plans for steady rate rises to come. The Fed is also drawing down its $4 trillion portfolio of bonds, putting further pressure on interest rates. While the ECB has pledged not to actually raise its target interest rate for more than a year, the global shift in central bank policy is starting to be felt. The roughly 0.65 percentage point rise in the interest rate on a 30-year mortgage since last summer means an increase of $95 in the monthly payment on a $250,000 loan, about as much as the typical family received in extra take home pay after the tax cut. Overall mortgage originations were down 3 percent through the start of 2018 on an annualized basis, while applications for mortgage refinancing were the lowest in a decade. New vehicle sales have fallen steadily since September, from 18.9 million cars and trucks to 17.3 million in May. Overall consumer credit in April grew the least amount since last fall as well, expanding $9.2 billion compared to an average of more than $14 billion per month over the last five years. Italy’s shaky politics and quick spike in interest rates recently were a reminder of the troubles the euro area could still face if financial conditions tighten, Brooks said, while rising debt levels in countries like Brazil and Turkey echo the emerging market traumas of the 1990s. ECB President Mario Draghi and Fed chair Jerome Powell were careful to note this week that monetary policy remains supportive of spending and investment. Financial conditions on the whole remain loose, according to measures like the Chicago Fed’s Financial Conditions Index. But, Powell noted, the day is approaching when that will no longer be the case. 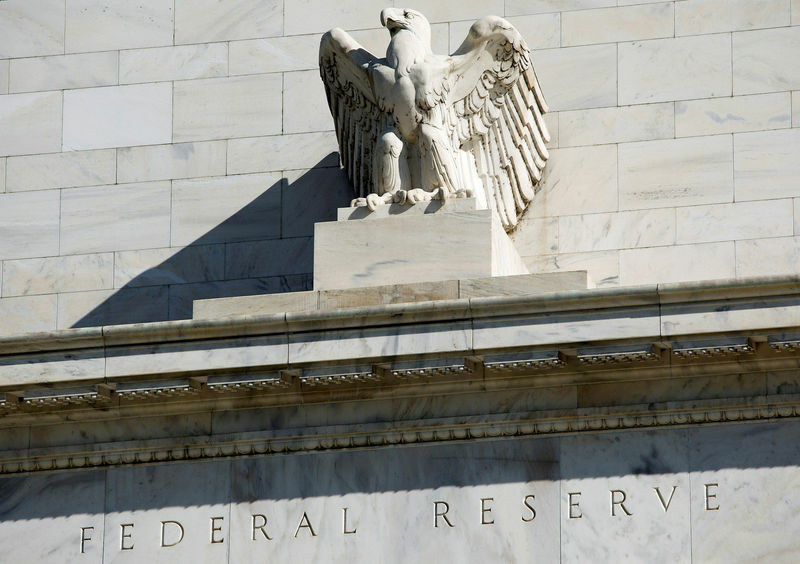 In perhaps a year, given the outlook outlined by Fed policymakers on Wednesday, the Fed’s short-term policy rate will hit “neutral,” or a level that neither encourages nor discourages economic decisions. “We know that’s coming, we kind of don’t think it’s here yet, but…it’s certainly coming,” Powell said. Add upcoming ECB actions to the mix, and 2019 could be the year when central bank policy tightens the screws after years in which the Fed’s initial rate increases had little impact. “As far as the Fed knowing exactly where ‘too far’ is, they don’t have the precision,” particularly at a time when most economists agree that key variables like the neutral rate of interest have fallen, said Tara Sinclair, a senior fellow and economist with the job site Indeed.com. With wage growth still muted, higher consumer interest costs and stronger price inflation means Fed policy “is close to biting,” she said.